Chris Sullivan has joined the West Chester office of MacElree Harvey, Ltd. as an associate in the firm’s Business practice group, where he will be serving primarily as counsel to clients in business formation, project financing, real estate and corporate transactions. Prior to joining MacElree Harvey, Mr. Sullivan practiced in the Public Finance department of a large law firm in Center City Philadelphia, serving as bond, borrower’s, and underwriter’s counsel to clients, including investment banking firms, mass transit agencies, educational and health care institutions, and municipalities. Mr. Sullivan started his career serving Governor Tom Corbett as a Deputy General Counsel with the Governor’s Office of General Counsel in Harrisburg. There, he practiced in the transactional/regulatory practice group. In addition, he served as liaison counsel to the Office of the Receiver for the City of Harrisburg and the Pennsylvania eHealth Partnership Authority. Mr. Sullivan also served as the Governor’s Office representative to the Delaware River Joint Toll Bridge Commission and Delaware Valley Regional Planning Commission. “Chris joins MacElree Harvey as part of our ongoing strategic goal to expand our business practice in Pennsylvania and to boost the office’s focus on nonprofit, government and real estate-based finance. He is a skilled transactional attorney and an excellent addition to our increasingly busy transactional and corporate practice areas,” said W. Patrick Scott, chairman of MacElree Harvey’s Business Department. “I am excited to join MacElree Harvey and have been very impressed by the culture of the firm and the significance of its business practice. 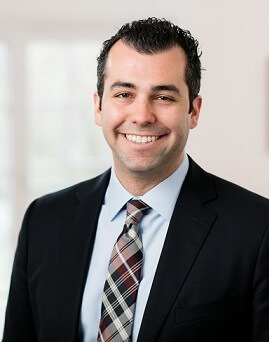 I was especially attracted to the firm’s full-service platform, strong Chester County footprint, and its successful expansion in neighboring counties, which are key to growing my practice further,” Chris commented. Mr. Sullivan received a J.D. from Pennsylvania State University Dickinson School of Law in 2010, and a B.A. in 2007 from Saint Joseph’s University. We invite you to learn more about Chris Sullivan and visit his bio page. With offices throughout Pennsylvania and Delaware, MacElree Harvey is a full-service law firm focused on corporate and commercial law, complex litigation and arbitration, estate planning, administration and wealth management, labor and employment, business restructuring and reorganization, trademark and copyright infringement, corporate compliance and criminal defense, federal & white collar crimes defense, real estate finance and tax law, as well as personal injury and family law.